It’s not something we wish will ever happen to us or a loved one, but we need to be prepared to deal with a fender bender if it ever does occur. As traumatic as the event can be, there are some legal requirements you need to keep in mind. Here’s what you should do in the event of an accident. Stop immediately after the accident and turn on your hazards. Don’t move the car, expect if it’s obstructing traffic and you’ve marked the original position of the vehicles with spray paint or chalk. Taking pictures also works. 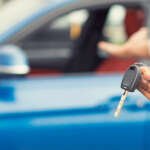 Get out of the car and inspect the damage to the vehicles and the extent of the injuries of the other persons involved. If there are any injuries, call an ambulance and the police. Take photos of the accident from different angles and closeups of any damage to your vehicle and the other vehicles for insurance purposes. Get your story straight. Where did it happen, street names, persons involved, did they appear to be intoxicated, talking on the phone, driving too fast, what were the weather conditions like? These are all things you need to consider when making your statement to the police. Above all else: NEVER ADMIT LIABILITY FOR THE ACCIDENT. Make your statement to the police but don’t sign a written statement without first consulting your insurance company or an attorney. 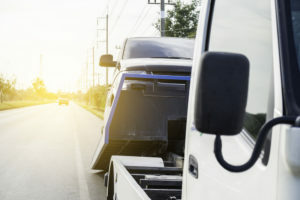 Does your vehicle insurance include roadside assistance and towing services? Then don’t let a private towing service tow your car other than your insurance provider’s authorised towing service. If not, always ask for a quote from the operator before allowing them to tow away your vehicle and remember to get their contact details as well. Report the incident to the police within 24 hours of the accident taking place. Report the incident to your car insurance provider. Even if you don’t plan on making a claim you still need to report the incident. The other party might wish to make a claim against your policy. Just remember that failing to stop after an accident could lead to jail time! So rather be safe on the roads, always remember to keep enough traveling distance between you and the person in front of you and never drive while being intoxicated or distracted by a mobile device to avoid an accident altogether.